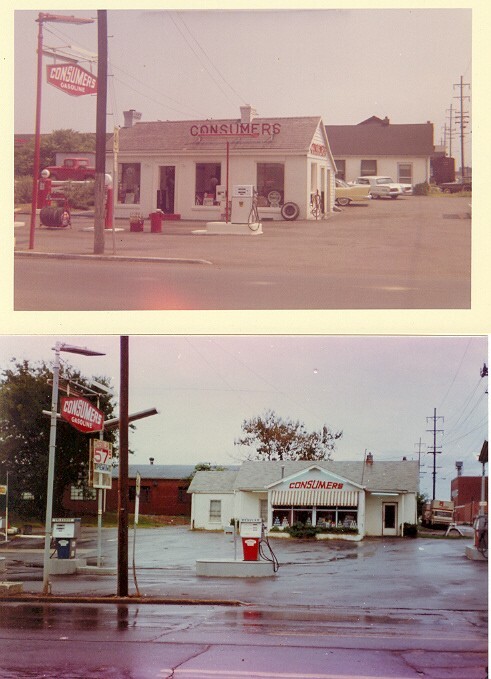 Two photos of the CONSUMERS office-style station in Nashville. and building a smaller one flush with the office building in the rear. have seen were CITGO but that doesn't mean they all are. change I don't know as I lost track of them for a while. Photos and text from Walt Wimer.